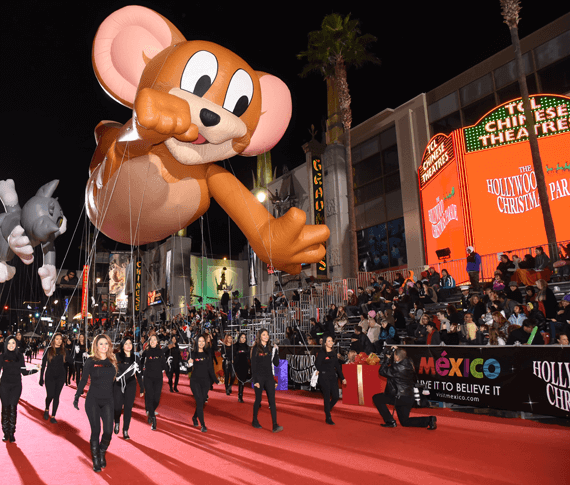 The Hollywood Christmas Parade is an event that happens every year on Nov.30th. The Hollywood Christmas Parade is an annual event held along Hollywood Boulevard. Santa comes together with numerous colorful festive floats and marching bands lead the parade. This event takes place on Sunday after Thanksgiving Day. The starting point is on Hollywood Boulevard at Orange, then it proceeds to the east to Vine Street, south to Sunset Boulevard, and west back to Orange. The parade starts at 5 pm and ends around 9pm. Another one bites the dust as Queen’s legendary story is told on the big screen and excludes the great memory of Freddie Mercury. It began with Freddie Mercury, played by Rami Malek , at his day to day job and escalated to his encounter with Roger Taylor played by Ben Hardy and Brian May played by Gwilym Lee who were soon to become members on Queen. The movie was produced in a meticulous matter, capturing the most needed information in order for the audience to indulge in the film. The shift of emotion was surely enhanced, one second I was in tears and the other I was laughing so hard I could not breath. Bohemian Rhapsody and its creation was a scene that left me with chills, the passion and motivation was felt through the movie screen. There came the evolution of Queen and their legacy, the film provided the bands seek for a new generation of music. The start of songs like “Another One Bites the Dust” and “We Will Rock You” are shown and that leaves one in a sort of “wow” feeling. Queen’s impact on many people remains till this very day and that is surely produced in the film. For one, the final scene simply justifies that they belong to the people and they formed a union of acceptance. Today, their legacy lives on and that is why Bohemian Rhapsody has made its mark nationwide. Light up your life and enter the Moonlight Forest for a fantastic time. The lantern festival is taking place at the LA Arboretum County and Botanic Garden. Experience art of fascinating figures from Chinese legends, alluring flowers, and exotic animals. The lanterns display three themes: Nature, Children’s Garden, and Chinese culture. There will be a variety of food trucks, food stands, and bar on site if you get hungry. The last day of the Moonlight Forest will be on Jan.6, so take an opportunity to go before it ends. Get your ticket before time runs out. Tickets vary on the day you choose to attend. On Wednesday-Thursday, tickets will be $25 for adults, $20 for children (ages 3-17), and $23 for seniors (63+). On Friday-Sunday ticket prices will be $28 for adults, $23 for children, and $25 for seniors. Members are able to get a discount of 15% on their tickets. If you do not have a membership you are able to join online. Though there is free parking, there is limited space and no parking availability on streets, so it is best to arrive early. Take the time to join this magnificent event and have fun. Spooky season is almost over but Halloween is finally here, and some people do not have anything planned so here are some places to go and things to do to get your thrill on this Halloween. 1. The haunting of the Wellness Center, get your spook on at Hollywood High’s very own Wellness Center. Treats will be provided as well as some scares, it’s going on from 3:30 to 4:30 on Halloween day. 2. Go trick or treating, nothing is better than free candy and showing off your costume to many people. Some good places to go trick or treating and test your luck to get some full size candy bars are Hollywood Hills, Eagle Rock, Beverly Hills, and Hancock Park. 3. Los Angeles Haunted Hay Ride, located in Griffith Park, is a place where you get to go through some spooky mazes and of course go on a hayride. Prices for tickets vary and it’s open from 7pm to 12 pm. 4. If you’re not into going out but still don’t want to miss out Halloween, stay in and have a movie marathon. Grab some snacks and some friends (or your pet) and binge watch some classic Halloween movies. The Crimson Chronicle hopes you have a fun and safe Halloween. Want to get spooked before October ends? Then make sure to check out these haunted houses. All these are located in or around Los Angeles. Prices depend on the haunted house you choose to select, as well as the level of ticket you choose to purchase. Recommended for children of eight years or older. There are four scare zones which include Purgatory, Haunted Hayride, House of Shadows, and Trick or Treat. Recommended for children 13 years or older. 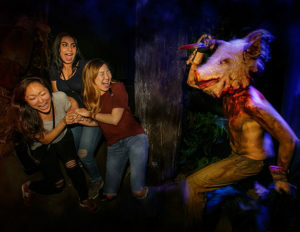 The mazes include Stranger Things, Trick ‘R Treat, The First Purge, Poltergeist, Halloween 4: The Return of Michael Myers, The Horrors of Blumhouse: Chapter 2, Universal Monsters, The Walking Dead attraction, and the Terror Tram. This attraction is only open Thurs.-Sun. with Oct. 31 as the only exception. Recommended for children 12 years or older. 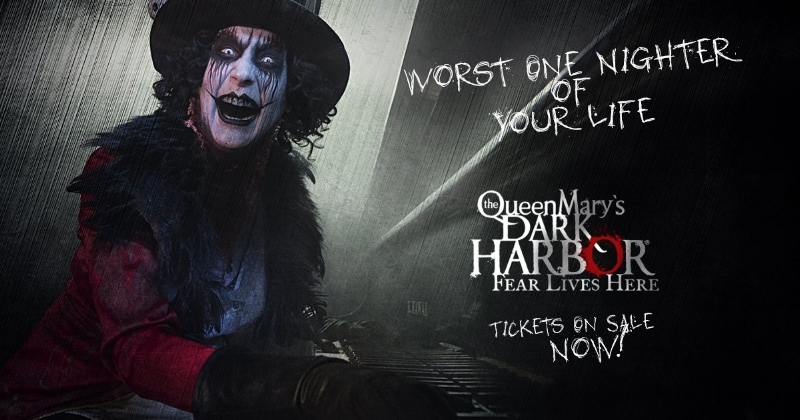 Monsters that are included in this scary attraction include the Chef, Samuel the Savage, Scary Mary, Half Hatch, Ringmaster, Iron Master, Voodoo Priestess, the Captain, and Graceful Gale. Recommended for children 13 or older. Mazes include Dark Ride, Dark Entities, The depths, Paranormal Inc., Pumpkin Eater, Shadowlands, Special Ops: Infected, The Red Barn, and Trick or Treat: Lights Out. Scare zones include CarnEVIL, Ghost Town Streets, Forsaken Lake, and The Hollow. Scare zones include the Shadows, City Under Siege, and Witches Lair. Haunted attractions include Condemned- Forever Damned, Sewer of Souls, Aftermath 2: Chaos Rising, Willoughby’s Resurrected, Red’s Revenge, and Hell Fest. Every fall there is a special event called Halloween Horror Nights at Universal Studios. Which Universal Studios Hollywood is transformed into LA’s most terrifying Halloween experience filled with walk-through maze attractions, with a mind-blowing live show ( Jabbawockeez), intense scare zones and high-octane rides and attractions. Tickets are on sale between the prices $75 to $104 dollars. The sooner you get your ticket the better. When going to HHN arrive between 5:00pm-6: 30 pm to enjoy early entry at no extra charge. 97. 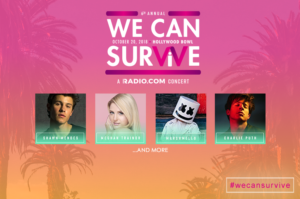 1 AMP Radio’s 6th Annual We Can Survive Concert was held at the Hollywood Bowl on Oct. 20. The concert was held to support and help raise awareness for young women who are diagnosed with breast cancer. At the concert, many artists attended such as Shawn Mendes, Marshmellow, Khalid, Charlie Puth, and much more. All the artist that showed up teamed up to support the Young Survival Coalition (YSC), which is an organization that is dedicated to help support young women who are diagnosed with breast cancer. They raised funds for this organization. Throughout the event, people were having fun and showed their support for breast cancer by wearing pink T-shirts, pink feather boas and dying pink streaks into their hairs. The event became a place for women and men to gather around to celebrate life, survival, and remember those lost in the fight. The Hollywood Bowl along with LA City Officials had the streets closed from 5 pm to 10 pm since the concert began at 6:30 pm. Once the streets opened up, there was a traffic jam. The traffic began from around Sunset and Highland and continued until reaching the Hollywood Bowl. The concert was beneficial and helpful to many people in different ways. It’s October which means that watching horror films is a must. Lucky for you the TCL Chinese Theatre is premiering multiple films that range from student films to the big screen movies that we all grew up with. Different movies will be shown each day so be sure to check the schedule before purchasing a ticket. This event will last until Oct.18 so do not miss out on this amazing opportunity. Individual tickets will be sold for $11 online and at the ticket boot and a Bloody Sunday Pass will be sold for $42 to be able to see all the movies that will be shown on Sunday. At the conclusion of the festival, a skull award will be given to winners of the film competition in the categories of best editing, visual effects, director, and much more. Be sure to attend and have a spectacular spooky night. For the list of the movies and the days they will be shown on, click on the link below. The Space X Falcon 9 rocket launched Sunday night which caused a strange looking light into the nights sky. This may come as a shock to some people but these lights were not from any aliens or UFOs. According to the staff at Space X, The atmospheric conditions were the reason that this visual and stunning display lit up our sky. The two staged rocket blasted right on time at 7:21 pm PT from California’s Vandenberg Air Force base. Minutes after the launch, the rockets second stage separated from the first stage which is why you might have seen two bright white lights in the eye catching ”cloud”.